Born 1977 in Sapporo, Hokkaido, Japan. After studying ceramics at a technical school, he moved in 2002 to Mashiko. 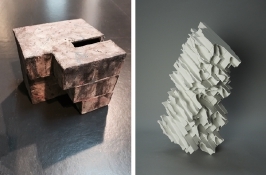 His studio was severely damaged by the earthquake disaster of March 11, 2011, and as a result, he relocated to the countryside of Chiba prefecture in 2015. Born 1975 in Fukushima prefecture, Japan. Took over his traditional family business Oborisoma Yaki. 2013 he relocated to the countryside of Oita prefecture, now he is making wood kiln. Born 1975 in Ibaraki prefecture, Japan. 1995 Entered Musashino University of Arts, majoring in oil painting, Tokyo. encountered ceramic art and devoted himself to that. 1999　Graduated from Musashino University of Arts. 2002 moved to Tsukuba, Ibaraki. Born 1983 in tokyo, Japan. 2011 Built his own kiln in Tochigi. Born 1976, in Shizuoka prefecture, Japan. Naotsugu Yoshida studied under well known ceramic artist, Taizo Kuroda. 2003 Built his own kiln in home town near by Mt.Fuji. He could make exquisite shapes, thin forms with impressive black and white. 2014 Moved to Kanagawa prefecture. Born 1977 in Mashiko, Ibaraki prefecture, and based in Mashiko now. 1998 Graduated from Industrial Technology Center of Tochigi Prefecture. 2000 Built "Anagama (hole kiln)" by himself. 2005 Solo exhibition at Mashiko Museum of Ceramic Art. 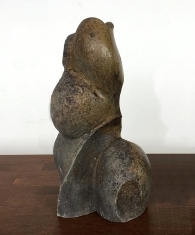 1991 Started to apprentice with well known ceramic artist Takashi Nakazato at "Ryuta Gama"
And established his own unique style. 1559 Studied at "Maruo Yaki" in Kumamoto. 2002 Built his own kiln "Asaniji Gama" in Amakusa, Kumamoto. Now, he is one of Japan's most famous ceramicists. 2006 Built his own kiln in Mashiko. because of his deed and wide experience. Now he lives in Tajimi. After graduating, he received the Grand Prize at the 21st Asahi Modern Craft Exhibition in 2003, and he was selected as one of the artists at the 7th International Ceramics Competition Mino in 2005. In 2007, he returned to his birthplace Kagawa, and constructed “Anagama (hole kiln)”. Wood-fired White Porcelain he create are very unique.